Today’s scripture is relevant for today because it speaks of acquiring things like health, prosperity, money, relationships, love—areas of our lives that we often resolve to improve every new year. More than anything, today’s scripture promises us God’s peace—shalom—if only we can live it out. This sermon focuses on three things necessary to realize this promise: priorities, practice, and persistence. I’m so glad that 2015 is here. Because it means, of course, that the future depicted in Back to the Future II will be arriving before the end of the year. Which means flying cars, skateboards that hover above the ground, and the nineteenth sequel to the movie Jaws. As someone said on Twitter, that doesn’t give filmmakers much time to make Jaws 5 through 18, but still… flying cars and hover boards. I’m all over that! 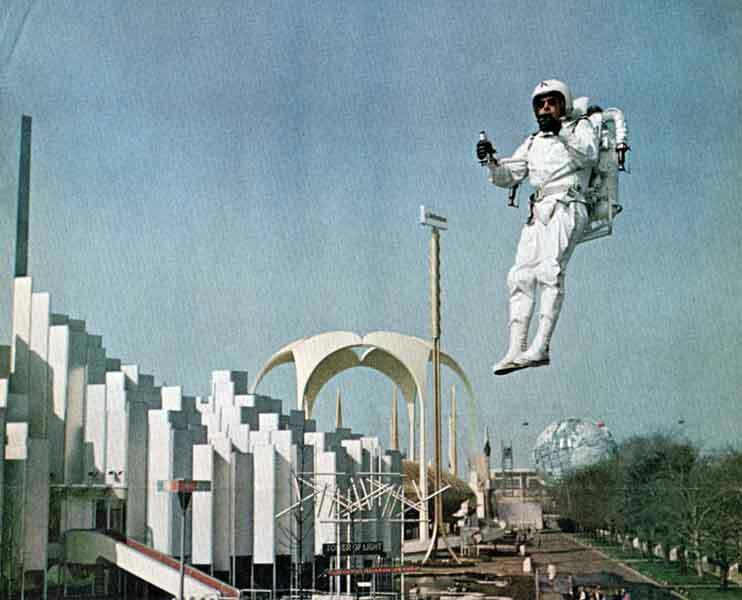 What I can’t get over is that back in 1964, at the 1964 World’s Fair, there was a guy flying around in a rocket pack, and here we are—50 years later—and still we don’t have one. Now I get that the one back in ’64 was far too dangerous for the average consumer, but they could have kept innovating, right? By now we should all have one! I want my rocket pack! Or my flying car! Or my hover-board! The truth is, we are always looking for faster, easier ways to enable us to travel from Point A to Point B. We’re always looking for shortcuts, and if technology can help us out with that, we’re all for it. This is that time of year, after all, when we make our New Year’s resolutions, when gym memberships and gym attendance skyrockets, and we become very optimistic about finally getting in shape. The gym I go to has recently invested in all kinds of new equipment, which supposedly makes it easier to get in shape. But regardless of all the equipment, I’ll bet that come March or April, gym attendance will drop back down to pre-New Year’s levels. Why? Because you still have to show up and do the work! And that’s the hard part! Proverbs chapter 3 is relevant for the new year because it speaks of acquiring things like health, prosperity, money, relationships, love—areas of our lives that we often resolve to improve every new year. And this raises a problem for many of us: Is the Bible giving us a guarantee that if we do these hard things, then these good thing will naturally follow? He said he was doing not such thing. He said, “This list simply says your choices cause results… There is a direct correlation between your habits, choices and character in Christ and your propensity to build wealth,” at least in non-third-world settings. 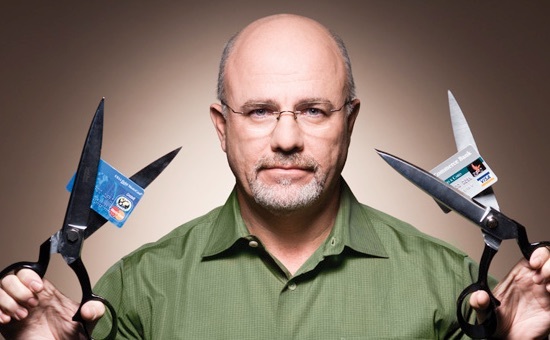 And given the fact that Ramsey has helped tens of thousands of people—maybe even some of you—get out from under massive credit card debt by making responsible decisions, then it must generally be true that there’s a direct correlation between good choices and good outcomes. In general, we reap what we sow. Not all the time. Not in each and every case. This was the problem that Job’s friends had: they thought the fact that Job’s life had gone so badly wrong that it must be because he was a terrible sinner. But God rebukes his friends and says, “No, this is not the case.” Proverbs recognizes this as well. But it’s not wrong to say, as Proverbs does, that if we live our lives according to these God-given principles, then, yes, in general, these good things will happen as a result. But we serve a Lord who lived his life perfectly according to these principles and he got crucified! So, it’s fair to say that the Proverbs are more about probabilities than promises. “Train up a child in the way he should go: and when he is old, he will not depart from it” is generally true, if not in each and every case. But today’s scripture, along with the rest of Proverbs, does make a deeper kind of promise, one which, if we could only live it out, is something like a guarantee: God promises us shalom… peace… freedom from worry… It’s the same kind of peace that Job himself experienced after God spoke to him—even before God restored his fortune and family and material blessings. It’s the same kind of peace that Jesus himself promises when he tells us, “Do not be anxious about anything,” and “Seek first God’s kingdom and his righteousness” and all these things—things that we spend so much time worrying about—“will be added unto us as well.” It’s the kind of peace that the Apostle Paul experienced when he said, “Rejoice in the Lord always. Again, I say rejoice!”—even when he was facing the death penalty at a prison in Ephesus. God wants to give us shalom. God wants to give us peace. I pointed this out last year when we were studying the Book of James, but Satan himself—who, before rebelling against God, had access to the very courts of heaven—he could recite every word of the Apostles’ Creed and believe it. From first-hand experience. Because he had seen God. But simply having first-hand knowledge of all the truths of Christianity, James says, can’t save you. Not if that knowledge just stays up here [point to head] and doesn’t penetrate right here [point to heart]. Saving faith begins right here, in your heart. Prior to this experience, John Wesley had all the head knowledge one could ask for. He knew all the scripture, he knew all the creeds, he knew all the theology, he knew all the liturgies, he knew all the practices of Christian faith. But prior to May 24, 1738, all that knowledge counted for nothing, because it didn’t penetrate down here—in his heart! Brothers and sisters, I want all of us to believe it in our hearts! I want all of us, if we haven’t already, to have a heart-warming experience with our Lord Jesus Christ! Because honestly, you can be baptized, you can grow up going to Sunday school, and children’s church… you can go to Vacation Bible School every summer, you can go to youth group, you can go through confirmation class and say all the right words and say you believe all the right doctrines. It’s up here, but it’s not in here. In other words, you’re faking it… Faking out your pastor. Faking out your youth minister. Faking out your parents. And when you grow up and have kids, you can still be faking it—going through the motions. Because while you may believe it up here, it’s not in here. And if it’s not in here, you likely haven’t yet made a life-changing decision to follow Jesus Christ as Savior and Lord. And you may not even be saved. What does today’s scripture say? “Trust in the Lord with all your heart…” God cares about what’s in here. Several years ago, I went to a musical that the students at my wife Lisa’s school were putting on. One of the students, a 16 year old girl, played a violin solo—and it was quite good. In fact, after the show I complimented her. I said, “You were great! You didn’t sound screechy at all.” I didn’t mean to damn her with faint praise, but, in my experience, 16 year-old violinists sometimes sound screechy. She looked at me, and in a completely deadpan way, said, “Thank you. I practice four hours a day, every day—eight hours a day on Saturdays—and I’ve been doing that for ten years!” No wonder she didn’t sound screechy! In a way, this young woman has voluntarily made herself a slave to the violin—she served it constantly through time, discipline, hard work. She had to forego so many activities and outside interests that her fellow teenagers enjoyed. But strange as it seems, this kind of voluntary slavery meant that she was completely free to do the thing that she loved the most: to play the most beautiful music in the world. To not let anything stand in the way of playing this music. Whatever the most challenging piece of violin music is, she could probably play it! Because she made herself a slave to the instrument, she was free to play whatever she wanted! I play guitar, but when I think about my own guitar-playing, I’m not free to play anything my heart desires. I can only play a very limited set of songs. And even though I want to play more, I can’t. Because I haven’t put in the time to practice! Brothers and sisters, being a faithful Christian is even harder than mastering the violin! Don’t you think it takes at least as much time and discipline and practice? Of course! This is why the Apostle Paul can talk about being a slave to Jesus Christ while at the same time being set free through Christ: Only when we surrender our lives to Christ—and make him Lord of every part of our lives—are we free to be the kind of person we want to be when we ring in the New Year armed with our New Year’s resolutions. Needless to say, I hope, it takes practice. That’s why today’s scripture talks about God making our “paths straight.” The Bible frequently compares living a life of faith to walking on a path. Earlier I talked about how we always want shortcuts to get from Point A to Point B. 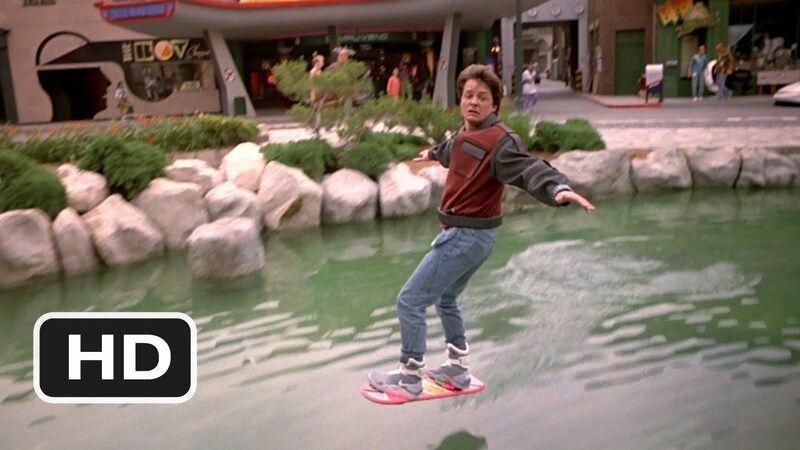 We want a hover-board, a rocket pack, a flying car. The Bible promises no shortcuts. It’s all about putting one foot in front of the other: left, right, left, right, left, right. The alarm goes off in the morning. We fight the temptation to snooze for 15 more minutes. Instead, we open our Bibles and read. Left, right, left, right. And we read our Upper Room devotional before we begin our day. Left, right, left, right. And then we pray: left, right, left, right. And then we go to Bible study or Disciple class each week. Left, right, left, right. And then, even when it’s so tempting to take Sunday off, to sleep in during the one day where we don’t have to do anything, we get ourselves ready and come to worship: left, right, left, right. No shortcuts. We’re just walking down our path. In today’s scripture, Solomon says that we should take his commandments and do what? Inscribe them on our hearts. I’ve felt very convicted lately that I need to work harder to make God’s Word a part of my heart. And I’ve begun memorizing scripture—again! I had let that practice lapse for a few—maybe 25—years. Not to be morbid, but some day when I’m on my deathbed, I want God’s Word to be so inscribed on my heart that if I remember nothing else, I’ll still have God’s Word, God’s promises, God’s assurances on my lips. How are you putting your faith into practice? Forget for a moment about going to the gym or dieting or paying off credit-card debt—no matter how valuable those things are—what New Year’s resolutions are you making when it comes to practicing your Christian faith? Here’s the interesting thing about God’s promise to make straight our paths. Even after God accomplishes this, the path itself—objectively speaking, from an outsider’s perspective—may look exactly the same. The same rocks. The same hills. The same weeds. But God has changed us from within so that how we respond to these challenges and obstacles is completely different. This is precisely what the Bible means when it talks about wisdom. Wisdom is the skill we develop in dealing with whatever life throws at us—good or bad. We can face it with equanimity. We can face it with confidence. We can face it with trust. External things don’t have the power to rattle us or change what’s in here. We can be a calm in the midst of life’s storms. Ugh. I feel like a hypocrite even saying that, because I know I have long way to go—but remember, left, right, left, right, left, right. One step at a time! So if you want these things, it takes priorities—putting God first. It takes practice. And, finally… it takes perseverance. Scripture’s words about the Lord’s discipline and reproof in verses 11 and 12 assume we’re going to fail. We’re going to sin. This is to be expected. “For we do not wrestle against flesh and blood, but against the rulers, against the authorities, against the cosmic powers over this present darkness, against the spiritual forces of evil in the heavenly places. We are at war, the Bible says. And Satan and his fellow demons are out to destroy us. And you better believe that if we resolve in this new year to change our priorities and put our faith into practice—we’re going to face opposition like we’ve never seen before! The devil mostly just leaves us alone when we’re not doing God’s will. 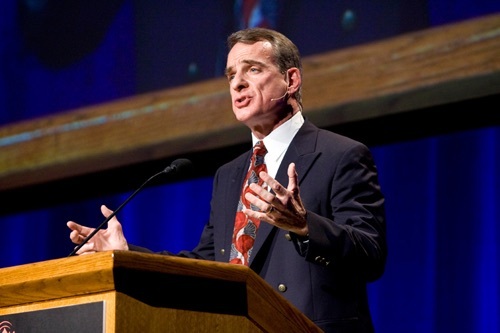 Along with all of my fellow clergy in the North Georgia Conference, I was just shocked to hear the news yesterday about a friendly acquaintance of mine, a Facebook friend, someone I enjoy catching up with each year at Annual Conference in Athens—he committed suicide, and left behind a wife and two young daughters. And I’m tempted to say that it’s so incomprehensible—but it’s not, or it shouldn’t be. Because in addition to the very real physical problem of clinical depression, we also have an Enemy in Satan who wants to use whatever he can to destroy us. And he just did it in the life of my fellow pastor. Oh, brothers and sisters, when we consider the very real, very dangerous spiritual threats that we face in this world, more than ever, we need to “trust in the Lord with all hearts and lean not on our own understanding.” “The one who is in you is greater than the one who is in the world.” Trust in him, and he will make your paths straight. Amen. This entry was posted on	January 9, 2015 at 8:42 pm	and is filed under Uncategorized.